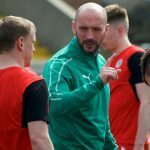 Cliftonville guaranteed a top-three finish in the Danske Bank Women’s Premiership after coming from behind against Sion Swifts Ladies at Solitude this evening. 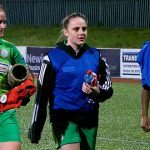 Trailing to an early goal, the Reds levelled when Carla Devine converted Chloe Orr’s cross before a foul on Amber Dempster earned a free-kick which Marissa Callaghan (pictured) stepped up to strike home. 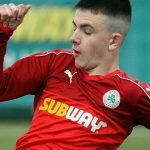 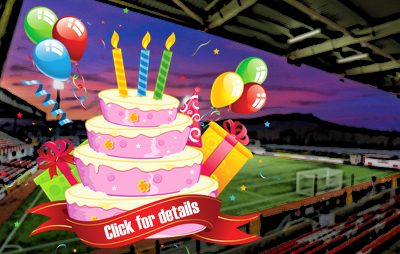 In the second period, Cliftonville saw a strong penalty appeal waved away and Leah McEvoy tried her luck from distance but, despite being unable to add to their tally, the three points ensured they will finish above Sion in the table – and, with the benefit of a favour from Linfield Ladies on Friday, can climb into second if they get the better of Glentoran Women in their final game of the season on October 10.